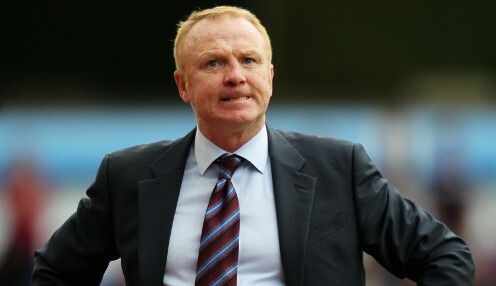 Alex McLeish says he wants to stay with Scotland and guide them to the 2022 World Cup in Qatar. The Scottish boss has a deal that runs out in 2020 when he hopes the team will be competing in the European Championships. However, in his second spell with the national team, he is already looking further ahead and would love to manage at their first World Cup since 1998. He told BBC Scotland: "That would be some celebration, we can definitely believe and it would be the greatest thrill of my career if it can culminate in two major championships." It would be the greatest thrill of my career if it can culminate in two major championships. Scotland have missed the last 10 major tournaments but are within sight of Euro 2020 having won their Nations League group last year. That ensures a play-off to compete for a place at the tournament but McLeish is looking to qualify automatically through the group stages. They play Kazakhstan and San Marino in the coming days in a tough group which also includes Belgium, Russia and Cyprus. "Yes, it's two away games but it's these away games we need to be picking up three points in if we have serious aspirations of qualifying out of this group," he added. "It's so important to get off to a good start for a psychological boost. If we don't get six points out of these two games, it will just bubble under the surface." Scotland are 23/20 to win in Kazakhstan on Thursday with the home side 3/1 and the draw 9/4. McLeish will be without his skipper for the Kazakhstan game, Liverpool's Andy Robertson ruled out of that game to have an operation on an abscess in his mouth. It is likely that Celtic's Kieran Tierney will replace him at left-back while Robertson hopes to be available for selection against San Marino on Sunday. Scotland are 33/1 to win the qualifying group for Euro 2020 while Belgium are 1/10.